As the microgrid industry heats up, players are jostling for market position. For utilities, the sweet spot may be the public purpose microgrid. At least that’s the thinking within Commonwealth Edison, whose parent, Exelon, is among the fastest-moving utilities in the microgrid space. Joseph Svachula, ComEd’s vice president of engineering and smart grid, explained the utility’s microgrid strategy Wednesday during a Zpryme ETS Insights webinar on the utility of the future. Svachula said that ComEd has staked its claim around “the big public purpose” asset – the microgrid that serves an entire community, rather than an individual business or institution. “We believe that utilities are uniquely positioned to play in the public purpose microgrid space. And when I say public purpose, I mean that lots of customers benefit,” he said. Nationally, the issue often comes down to whether a utility will attempt to dominate microgrid development or leave room for competitive players in its service territory. The Chicago-based utility appears to be offering a middle ground. 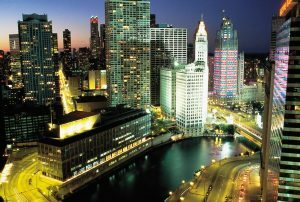 ComEd is developing an ambitious public purpose microgrid in Chicago’s Bronzeville neighborhood. The project clusters microgrids, an approach often described in futuristic visions of the grid. Clustering made sense to ComEd as it identified areas of Chicago conducive to public purpose microgrids. The utility saw that some of the areas have massive energy needs. “One of those could exceed 100 MW. To go and build a 100-MW microgrid I would argue…defeats the purpose,” he said. Such projects would end up being more macrogrid-like, with “massive generators and centralized load — which is what you are trying to avoid,” he said. So instead the utility, which services 4 million customers, decided to design small microgrids that can be clustered. 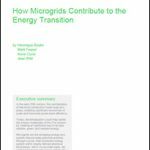 Over time, more microgrids can be added to the cluster. Starting off small and gradually growing the cluster makes the project more affordable, he said. The initial cluster will include a 12-MW microgrid at the Illinois Institute of Technology and a 10 MW microgrid in the Bronzeville neighborhood. The utility will couple the two microgrids and then start to “share and prioritize the resources between the microgrids,” he said. In addition to offering an example of microgrid clustering, the Bronzeville project offers a view of the sociological side of microgrids. Communities view microgrids as more than just energy infrastructure. They are part of the growing push for consumer control of energy, and they create a kind of ideological community gathering point. ComEd caught a glimpse of this phenomenon when it met with the Bronzeville community to talk about the microgrid. Community members asked the utility to consider placing solar panels on abandoned rapid transit tracks. They got the idea from a community on Chicago’s northside that refurbished an elevated track into a walking and jogging platform. ComEd expects to have a controller built by the end of the year for the cluster microgrid. The project has received a $1.2 million Department of Energy grant and includes partners Alstom Grid, Argonne National Laboratory, Illinois Institute of Technology, Microsoft, OSIsoft, Quanta Technologies, S&C Electric, Schneider Electric and University of Denver. The utility began its journey into microgrids with an engineering map that parceled the service territory into 13,000 square miles, a series of “pixels” that took into account load, growth, equipment age, and other factors. The map revealed areas of vulnerability that need re-enforcement. After that, ComEd met with city, county, state and federal officials to isolate the location of critical facilities for water, communications, fuel and other vital resources that a microgrid could keep powered in an emergency. As a result, the utility identified six sites for public purpose microgrids, and has proposed state legislation (HB 3328/SB 1879) that would allow it to invest $300 million over five years in the projects. ComEd is not the only Exelon subsidiary that is planning public purpose microgrids. In Maryland, Baltimore Gas & Electric (BGE) has launched a plan to build public purpose microgrids across the central part of the state. In Pennsylvania, PECO Energy has won regulatory approval for $50 to $100 million microgrid pilot program. Interested in more news about public purpose microgrids? Subscribe to our free Microgrid Knowledge newsletter. Very proactive thinking and strategy for ComEd! My initial question would be; Will they allow and reward appropriately with Fit, for local Prosumers with the ability to contribute to the Microgrid’s ?